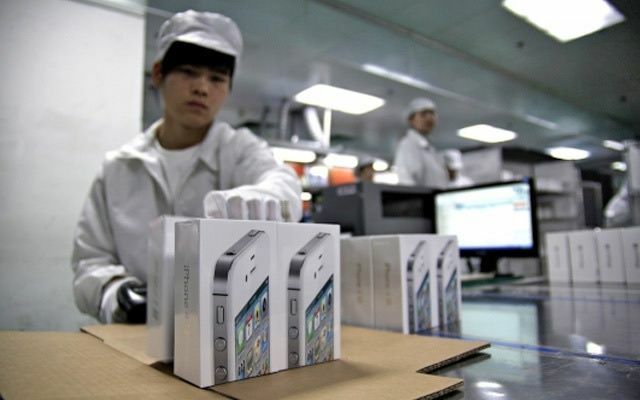 iPhone 6 maker Foxconn is looking to lower its reliance on Apple. Foxconn has been forced to make preparations for life after Apple following reduced demand for the iPhone and other iOS devices which has caused the company’s revenue to nosedive, The New York Times reports. The manufacturer has been doing well off the back of Apple’s hugely successful devices in recent years, which have been contributing at least 40% of its revenue, according to analyst estimates. But after suffering a 19.2% drop in revenue during the first quarter of the year, thanks to declining iPhone and iPad orders, Foxconn is now looking at ways in which it can be less reliant on Apple. Foxconn also manufactures products for Amazon, Dell, HP, Nokia, Sony, and a whole host of other electronics companies. But Apple’s success with the iPhone and the iPad has led to the Cupertino company becoming Foxconn’s biggest customer, and Foxconn has become reliant on all that revenue. But it’s now looking at new ways in which it can grow in an effort to reduce the affects of decreasing demand for Apple’s products. One of Foxconn’s moves has been to manufacture its own products. The company have begun designing its own televisions, which it has been selling under the RadioShack brand in Canada, and the Vizio brand in the U.S. Foxconn even invested a whopping $840 million on a 37.6% stake in Sharp to secure its large LCD panels. However, as companies like Samsung, Sony, and LG know too well, it’s hard to make money from TVs. Worldwide demand for LCD TVs declined 1% in 2012 compared with the previous year, and demand for all TVs fell 6%, according to NPD DisplaySearch. Foxconn has only sold around 20,000 sets in Taiwan so far, according to a company spokesman. But the company is working with cable and Internet TV operators in Taiwan and China to offer subsidized TV sets that cost a lot less upfront when bought with a subscription. For example, customers can buy a 60-inch TV for as little as 33,800 Taiwan dollars ($1.150), as long as they agree to also pay 1,158 Taiwan dollars a month for a two-year TV service contract. It’s just like buying a subsidized smartphone. The problem with manufacturing TVs is that Foxconn ends up competing with its own customers. Some analysts say that the company has two contradictory goals. On one hand, it doesn’t want to compete with the likes of Sony, Sharp, and Toshiba, because it has TV assembly orders from them. On the other hand, it has excess LCD panels produced by Sharp that need to be used up. Taiwanese companies do the all the time, according to Kirk Yang, managing director of Barclays’ Asia Technology Research. They sell products at a loss just to get started, but once they are selling large volumes, they eventually make a small profit. But will there come a time when Sharp won’t have excess panels that need to be used up? Some analysts believe that Foxconn purchased its stake in Sharp in anticipation for Apple’s television set, which will almost certainly be manufactured by Foxconn — if it ever gets manufactured at all. So, has Foxconn really prepared for life after Apple? Or has it simply prepared itself for Apple’s next big thing?